Everyone loves a good app, especially when we know they’re boosting our productivity. 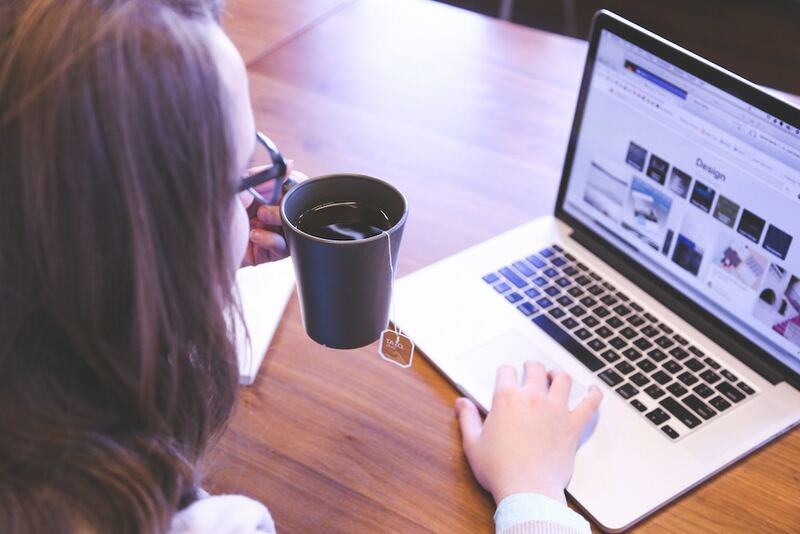 When you run a blog, you’ve got to have a presence all over the internet in order to be seen and stand out from the crowd. You have ideas that need to be written down before they’re gone, and lists of tasks that need to be tracked and completed – staying organised is key to blogging success! 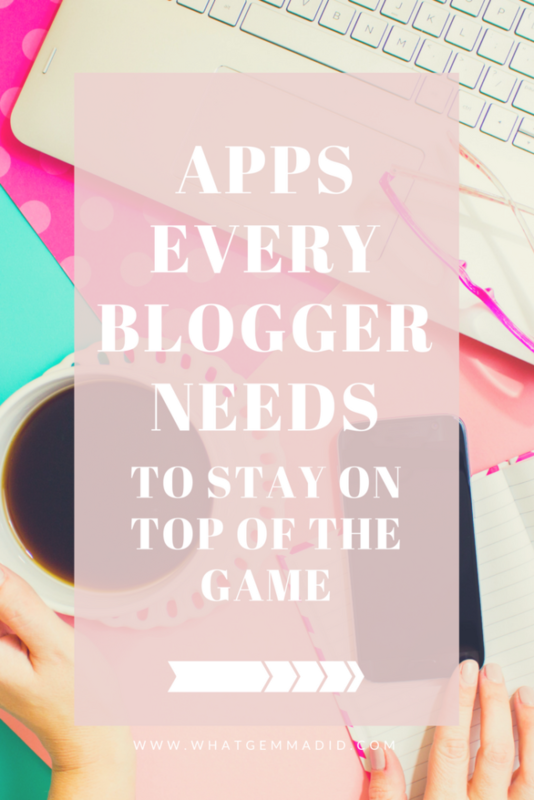 I’m going to share with you some of the recommended apps for bloggers that I’ve been using to try and make the blogging experience as seamless and easy as it can be. I’ve left out The Big Ones – Facebook, Instagram, Twitter and Pinterest. We all know we need these! Keeping up with the blogging community is a must! Other social networks can get a little crowded with not-blog-related information – which is great! But Bloglovin’ allows you to keep up with your favourite blogs, follow new ones, and see what other bloggers are writing about, all in one place. Again, it’s the perfect place to find inspiration; reading other blogs gives you an idea of your own opinions and makes you think about what you can add to a narrative. Psst, if you enjoy this article, why not follow along on Bloglovin’ so you can get more like this? Probably my favourite editing app for photos, especially for Instagram. It comes with tools which are a bit more advanced than those in the Instagram app but without being overly complicated. There are filters, too, to help give your photo that extra pop. As far as other photoediting apps for bloggers, I’ve found this to be the easiest to use for the best price tag – FREE. Okay so, when I’m using Pinterest on my phone I’m usually pinning right to my boards in that moment. But we all know the importance of scheduling pins, right? So I couldn’t believe I’d been using Tailwind for scheduling for a whole month before I realised you can add pins to your publish queue from your phone. The best bit? Install the app and you can add pins to your Tailwind schedule directly from the Pinterest app, just like in the browser! See how it works over on the Tailwind blog. Given the emphasis on Pinterest in the blogosphere, I think this is probably one of the best apps for bloggers. 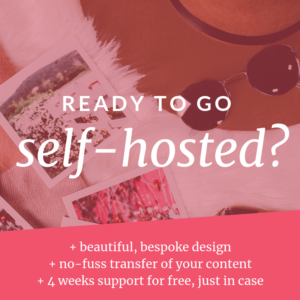 If you don’t have Tailwind yet, you should give it a try – sign up to Tailwind with this link and get your first month completely free! If you want to learn more, I go into some of the benefits of using Tailwind for scheduling your pins in my post about boosting your blog with three easy marketing tools. I’ve talked about Crowdfire before because it is a great way to boost your blog’s audience via your social media. Every day, Firebot (their friendly social media AI) will present you with tweets and posts for you to share on your social accounts. Firebot will let you know who has followed/unfollowed you and recommend new accounts to follow to increase your reach. The benefits are endless, and it takes a maximum of 10 minutes on a daily basis. I promise the benefits are huge. I’ve grown my following on twitter from 90 to almost 500 since I started using this a few weeks ago! While I’m a fan of a good pen-and-paper checklist on my fridge, having an app on my phone to give me alerts is beyond handy. Being organised takes a lot of effort for me, so I’ve actually tried so many to-do list apps and Wunderlist is by far the best. You can make different lists for different aspects of your life, set up recurring tasks, set alerts for tasks and get this – tasks can even have sub-tasks! For me, Wunderlist isn’t just about keeping my blog organised, it’s about keeping my entire life on track. I highly recommend giving it a try for a simple, no-frills, does-what-it-says-on-the-tin to-do list app. I’ve just started using OneNote to organise my blog content and I am loving it so far. I can add to my OneNote notebooks from my phone, my iPad and even the browser extension and it all syncs together. It makes storing ideas, affiliate codes, stock images and even just reminders so simple and fluid across all my devices. I was trying to keep all my ideas in spreadsheets before but this is just so much more efficient because it feels like I’m scrapbooking (which, let’s be real, is just plain fun). What are some of your favourite apps for managing your blog? Are there any here that you can’t stand to use? 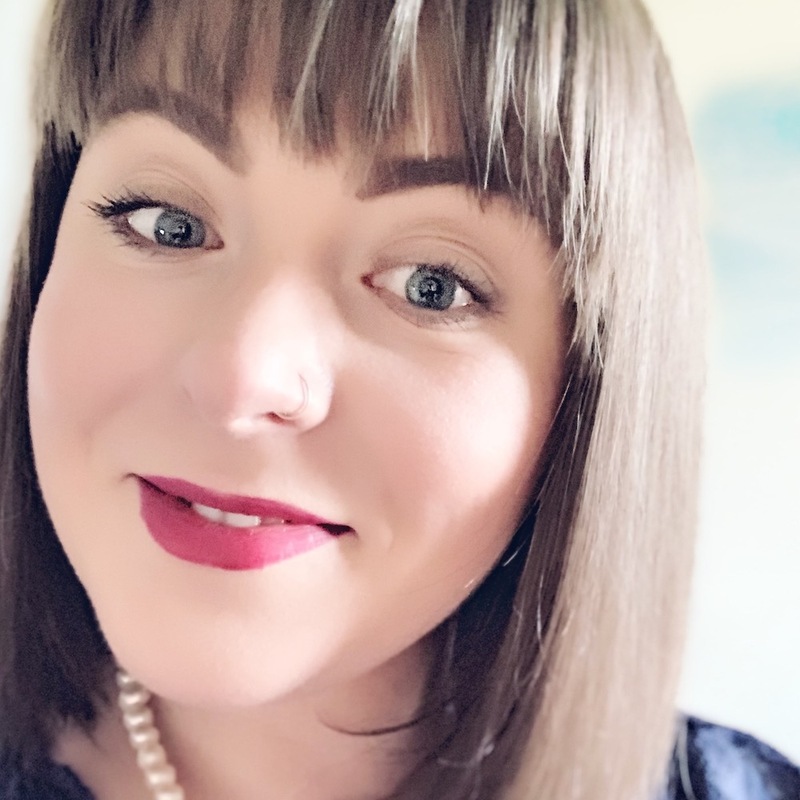 I’d love to hear your recommendations for other apps for bloggers, so leave a comment and let me know! *Note: Some of the links in this post are affiliate links or part of a referral program. This means if you sign up or purchase, I may receive a small commission. Don’t worry, it won’t cost you anything extra. I wouldn’t recommend something I didn’t use myself or that I didn’t think was a quality tool or product. Yes it’s super handy! And so easy to use! I’m a big fan of Crowdfire!! It’s helped my twitter following as well! Thanks for the helpful post! I love Bloglovin. I’m also a big fan of the Google Calendar for helping me remember upcoming things I might want to blog about. I consider it a lifesaver. This is great! I’m new to blogging so I shall be downloading all of these apps right away:) Thank you for sharing this with us. Thanks for the tips! I use Wanderlust too and it’s so handy x. Some great tips there. We prefer Evernote to one note. But if you have signed up to office 365 it does deliver epic integration with the suite of tools you get in office.